Celebrating 10 years of Nitroplus CHiRAL. Commemorating 10 years since the establishment of Nitroplus CHiRAL, we're releasing rubber strap versions of all our protagonists! Based on an illustration by "chimi-e" master Yupon. Collect all 4. Images are for illustrative purposes only. Actual product may differ from images shown. Limited to a purchase of 2 units per person. 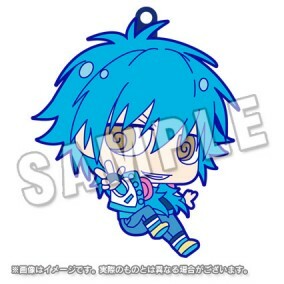 First available at "Nitro+CHiRAL Fes. Thanks for 10th Anniversary." Nitroplus CHiRAL Theme Song Compilation Album "CHiRAL BEST"